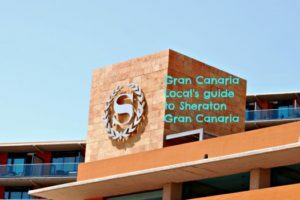 0.1 No-one has reviewed more Gran Canaria hotels than Mr Gran Canaria Local. Whether it be for the likes of The Huffington Post, The Independent, or Telegraph Travel. Or for this very site. 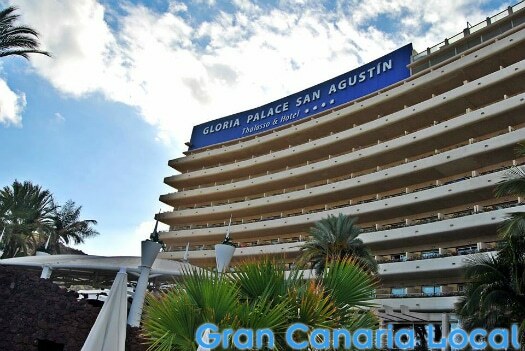 No-one has reviewed more Gran Canaria hotels than Mr Gran Canaria Local. Whether it be for the likes of The Huffington Post, The Independent, or Telegraph Travel. Or for this very site. Gran Canaria hotels are Mr GCL’s specialist subject. He would choose to answer questions about them on Mastermind. We’ve started, so we’ll finish with a geographical breakdown of our favourite hotels on the island. Let’s begin with the capital, Las Palmas de Gran Canaria. The majority of hotels are to be found in the Las Canteras area. Mr Gran Canaria Local first visited Bull Hotels‘ four-star Hotel Reina Isabel for an afternoon snack with his father-in-law after pushing him there along the promenade in his wheelchair, although he’s since returned to review this Las Canteras institution for the pages of Telegraph Travel. 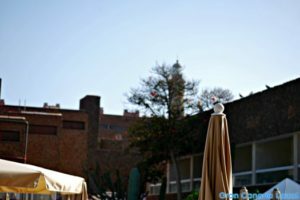 Another classic and, indeed, classy hotel is the five-star Hotel Santa Catalina. Over the course of an illustrious history starting in 1890, it’s welcomed guests of the calibre of Sir Winston Churchill, Julio Iglesias, Mr GCL’s parents, and, most recently, Brad Pitt. 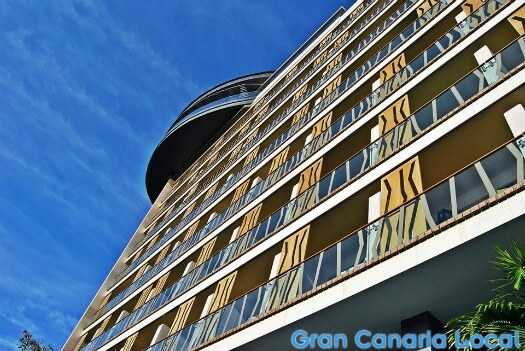 Visiting football teams playing away against UD Las Palmas tend to stay in a hotel rather closer to the actual Parque Santa Catalina, 84-metre-tall, 26-floor-high AC Hotel Gran Canaria. As well as chain hotels, the Gran Canaria capital has witnessed a rise in the number of boutique establishments. Just around the corner from the AC Hotel, Bed&Chic is Parque Santa Catalina at its most gentrified. 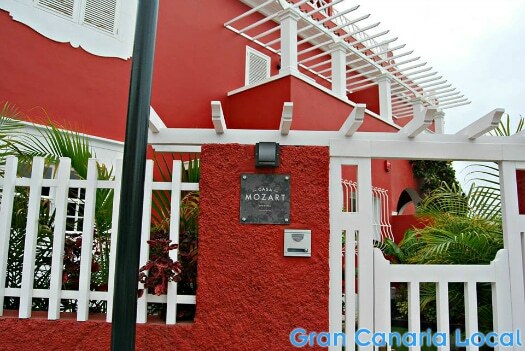 Elsewhere, make yourself at home in the posh neighbourhood of Ciudad Jardín at Casa Mozart or stay in the capital’s first barrio of Vegueta at La Casa de Vegueta. Moving along the GC-2 to hit the rest of the north, you first reach Arucas. 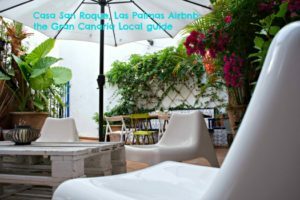 When the local authorities used to fly over Hollywood A-listers for Las Palmas de Gran Canaria’s film festival, they put Susan Sarandon up at Arucas’ La Hacienda del Buen Suceso. This elegant colonial estate is located next to a working banana plantation. 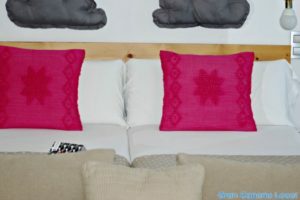 In the neighbouring municipality of Firgas, there’s the four-star Hotel Melva Suite. Despite being a new build with a modernist reception, the Canarian-style sleeping quarters exude character. As does in-house restaurant, Restaurante Irejul. Just as if not more popular as a wedding venue, Gáldar‘s Hacienda de Anzo is noted for its beautiful gardens and intriguing cave feature. It’s also a great base for hiking, as it’s located just off the island’s very own Camino de Santiago. You can pay to be a guinea pig at Hotel Santa Brígida in the municipality of the same name. For this is the training ground for the next generation of hotel staff. This necessity for learning proves to be the mother of invention in a kitchen famed for its gastronomic innovation. One of our favourite municipalities in the whole, let alone the north, of the island is Agaete. The first hotel you’ll find driving from Las Palmas de Gran Canaria along the GC-2 is the four-star Roca Negra in the new development of El Turman. Rather more established are the Hotel Puerto de las Nieves, with the sleeping quarters designed to resemble a ship’s interior, and the small-but-perfectly formed Hotel El Cabo in the port and elegant family-residence-turned-rural-hotel Finca Las Longueras in Agaete valley. As the south of the island began to replace Las Palmas de Gran Canaria as the go-to destination of choice for tourists in the 1960s, so began a proliferation of hotels. San Agustín was where it all started, but these days its standout establishments are the Costa Canaria and San Agustín Beach Club which hide their charms behind rather dated veneers, Dunas Don Gregory where Mr and Mrs Gran Canaria Local spent the first night of their honeymoon, and Gloria Palace San Agustín which is every bit as good inside as it looks outside. If you want a hotel close to the airport, look no further than the south-east’s Elba Vecindario Aeropuerto. 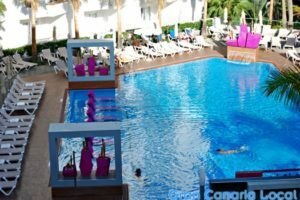 No resort has reinvented itself with quite as much vigour on Gran Canaria as Playa del Inglés, although there has long been excellent accommodation in the form of misleadingly-named Riu Palace Maspalomas and the IFA Catarina Hotel both close to the dunes. Here apartments have been reborn as hotels as in the case of adults-only Gold by Marina and the more family-focused Santa Mónica Suites. And old hotels as shiny bright new complexes such as the 18+ Bohemia Suites & Spa and ClubHotel Riu Papayas. Neighbour Maspalomas used to be the more exclusive of the pair, what with the Seaside Grand Hotel Residencia which is so beloved of politicians and rock stars, but has since seen PDI play and win at catch up. Nevertheless, few Gran Canaria hotels boast such a perfect setting as the IFA Faro, located next to the resort’s lighthouse. Family-friendly Seaside Palm Beach is reassuringly luxurious whilst the similarly suitable-for-children Dunas Suites & Villas is rather more affordable. 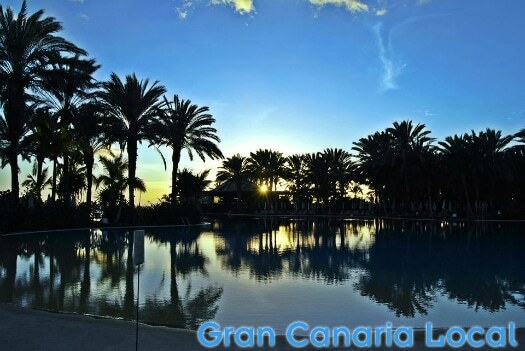 There’s a greater concentration of great Gran Canaria hotels in Meloneras than anywhere else on the island. These include the ClubHotel Riu Gran Canaria, one of the island’s finest all-inclusive establishments, and the Lopesan Costa Meloneras whose biggest pluses are its infinity pool and spa featuring a Womb Room which allows you to regress to your pre-birth days. The service at the Riu Palace Meloneras is amongst the best on Gran Canaria whilst nothing quite prepares you for the wow factor you’ll experience stepping into the reception at the ecclesiastically-themed Lopesan Villa de Conde. Other popular resort hotels include Amadores‘ Gloria Palace Royal and Gloria Palace Amadores Thalasso, Arguineguín’s Radisson Blu Beach Resort where Mr GCL felt so much at home he would have slapped a deposit down on the apartments to buy there if his bank balance had allowed, Puerto Rico‘s Marina Suites and Morasol Suites, and all-inclusive resort Taurito‘s Paradise Valle Taurito and Suite Princess. Over in Playa del Cura, the Labranda Riviera Marina‘s interior goes big on purple whilst the Hotel Riviera Vista, true to its name, is more about the view. Further west, Puerto de Mogán boasts Hotel Cordial Mogán Playa, the only hotel to have an archaelogical park on site, bright and breezy Hotel THe Puerto de Mogán, and shiny new star the Radisson Blu Resort & Spa. 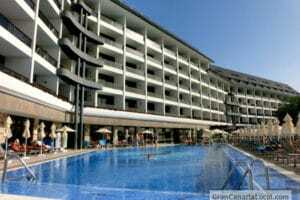 Above the resorts, special mention must be made of Sheraton Gran Canaria Salobre Golf Resort. If you’re not keen on driving or indeed putting, you’ll appreciate the Balinese beds at this leisurely complex. Heading further into the interior, you’ll come across Hotel Rural Las Tirajanas which is a strictly autumn-to-spring retreat. The east of the island is not particularly well served by hotels. Telde has the Hotel Rural Cortijo San Ignacio Golf which offers accommodation in a converted 18th-century home and the opportunity to play an 18-hole course. And that’s your lot. It’s a similar sparse pciture on the hotel front over in the west of Gran Canaria. 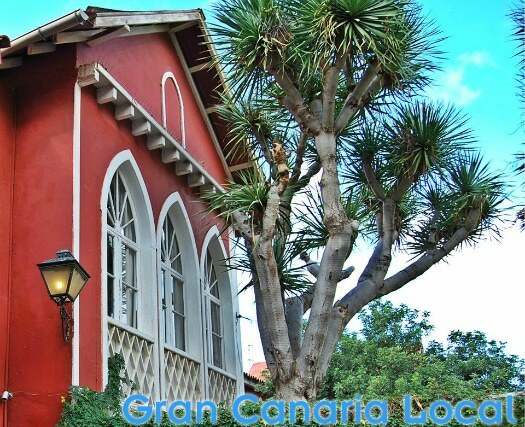 Although Mr Gran Canaria Local never uses air conditioning in a hotel, many visitors have complimented La Aldea de San Nicolas’ one-star Hotel Cascajos for finally getting round to fitting a/c. The nearby La Aldea Suites offers two extra stars along with a swimming pool. Right in the heart of the island, you’ll stumble across the Cruz de Tejeda (particularly if you’re out hiking) where the best place to stay is the Parador de Cruz de Tejeda with its mouthwatering gastronomy and stunningly-set indoor/outdoor spa. In Tejeda village proper, wake up to the unforgettable view of Roque Bentayga at Hotel Fonda de la Tea. Meanwhile, over in Vega de San Mateo, you can go slow at the Hotel Rural Las Calas; especially if you return there from a trek.